MEUSE (Mius, Mause, Muse), ANDREW JAMES, Micmac chief; fl. 1821–50 in Nova Scotia. In January 1821 Andrew James Meuse, speaking on behalf of the “Division of the Micmac Nation residing near the Gut of Annapolis Royal,” petitioned the Nova Scotia House of Assembly against passage of a bill that would outlaw shooting porpoises in the bay. He argued that the killing of porpoises, which were one of the Indians’ principal resources, was a “natural right” that did no harm to the whites. He made an impressive appearance at the bar of the house. Years later, he was reported to have said: “I see among [the members] but one face that I know, and that man is trying to take away from the Indian the source of his livelihood.” He talked at length of the wrongs suffered by his people and made an eloquent statement of their cause. The bill, which had already passed two readings, was thereupon voted down. The Halifax philanthropist Walter Bromley first met Meuse, “the man who nobly pleaded his peoples cause,” in September 1822. Meuse asked him to apply to the government on behalf of the band for a 1,000-acre grant contiguous to their encampment at the Annapolis Basin. In 1825 the two men went to England together. It was reported that Meuse hoped to solicit permanent grants of land for the Indians so that they could become farmers. 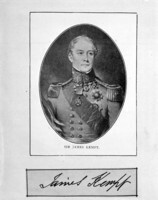 According to an anecdote published five years later by Thomas Irwin of Charlottetown, Meuse had applied to Lieutenant Governor Sir James Kempt* for land at Bear River, near the Annapolis Basin, and was told that he might have it but would receive no grant lest he transfer it to the whites. Kempt, however, gave his word that the Indians would not be disturbed in their possession of the site. Indignant, Meuse replied: “Before the arrival of Europeans in our country, my forefathers were the rightful lords of this country, and I, their son, must supplicate, in the most humble manner, a foreign Governor for a morsel whereon to build a wigwam; and yet I am refused!” Knowing what his people had suffered, what faith could he put in the word of a governor? “No; I will go to England and petition the King – from him alone I hope for redress.” Whether or not he petitioned the king while he was in London, he did meet some of the leading Quaker philanthropists of the day and opened a correspondence with them. He did not succeed in obtaining a freehold grant, but 1,000 acres were set aside on Bear River at the request of Abbé Jean-Mandé Sigogne and judge Peleg Wiswall of Digby. Meuse was to be the man in charge of the experimental settlement. Land was surveyed in 1827 and divided into 30-acre lots. A family that cultivated its land for three consecutive years was to be confirmed in possession of it, but was still not to be given a freehold grant; a family that neglected its holding for three years would forfeit it to another Indian cultivator. The first people moved to Bear River in 1828. The provincial government provided some supplies and the distant Quakers gave financial support. On 12 Feb. 1828 a petition in the name of Andrew Meuse, chief of the Indians of the Western District, had been presented at the bar of the assembly by Charles Glode. * The petitioner prayed “for the suppression of the selling of Strong Liquors to Indians in the Province.” The appeal eventually led to the passage of an ineffective law that left banning the sale of liquor to the discretion of local magistrates. 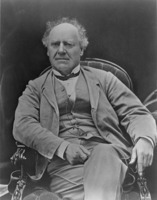 In the Novascotian, or Colonial Herald Joseph Howe* editorialized on the virtues of natives such as Glode and Meuse. The prospects looked fair. By 1831 there were 17 families, 69 people, living at Bear River; they had cleared land and brought in good crops of potatoes. Meuse successfully petitioned the assembly for help to construct a road and £100 to build a chapel. He paid a second visit to London in 1831–32, spending much of his time in the company of famous philanthropists: Elizabeth Fry gave him a portrait of herself that he later hung in his living-room. He was presented to the king and queen, who gave him a medallion. From the first, Abbé Sigogne had been afraid that Quaker support for the settlement might in some way damage the Indians’ Catholic faith. Even before Meuse’s second visit to England, he was complaining that the chief had become indifferent to religion and was a bad influence on his people. Worse was to come, for at some time after his return Meuse took to drink; he pawned the royal medal and Sigogne had to redeem it. As a result of such misconduct, Meuse was displaced as chief and Jack Glode elected in his stead. In 1834, a visitor to Bear River complained that the Indians had “literally thrown away” their advantages: their clearings overgrown, they themselves feasted and frolicked until starvation forced them to beg. Despite these set-backs, Meuse remained the leading personality at Bear River. He apparently climbed back into Sigogne’s good graces, for the abbé gave him a letter of introduction when he went to Yarmouth in 1835 to raise £25 for the chapel. He is also known to have visited the United States on fund-raising drives, possibly in 1836. But the settlement continued to falter and by 1841 it was reportedly down to seven families. Two Indians visited Joseph Howe in Halifax in November 1841. One of them was undoubtedly Meuse, who had known Howe for a number of years. Howe could not but be impressed with Meuse: here was a man who had been to London and “talks familiarly of Mr. Gurney, Mrs. Fry, and other distinguished Philanthropists.” The two visitors convinced Howe that he had to think of the Indians, not in the whites’ terms of townships and counties, but as bands under distinct district chiefs. They urged that each chief be given a plan and a clear description of the lands set aside as reserves within his jurisdiction, and each be responsible for parcelling out land among his people. Building on the model of early Bear River, they stressed the need for provincial assistance with tools, seed, and stock for each group, and the desirability of a house for the chief, a chapel, and possibly a school. Howe hurried to incorporate these ideas with his own in a letter to Lieutenant Governor Lord Falkland [Cary*], thus paving his way to becoming Nova Scotia’s first Indian commissioner. Disaster struck the community in the mid 1840s. The potatoes rotted in the ground, the fishery failed, and sickness caused many deaths [see Gabriel Anthony]. Meuse was one of those stricken, but he survived. Bear River recovered slowly. Meuse was among the ten chiefs who paraded through Halifax in February 1849 carrying a petition that called for aid to resume farming after the blight. The last reference to him came in July 1850, when the Baptist missionary Silas Tertius Rand* visited the Annapolis Basin. Rand was reading from the Bible when Meuse “told me in good English not to say anything against their religion.” Rand concluded his discourse with a tale of war against the Mohawks long ago. Sigogne would have approved of Meuse at the last. Andrew Meuse had married Magdalen Tony, and they had four boys and two girls. Louis Noel accompanied his father on the second visit to London. Five of the children were sent to school and became literate in the English language. Arch. of the Archdiocese of Halifax, Edmund Burke papers, [J.-M. Sigogne] to Joseph Bond, . N.B. Museum, J. C. Webster papers, packet 31, [Walter Bromley], “Report of the state of the Indians in New Brunswick under the patronage of the New England Company, 14th August 1822.” PANS, MG 1, 979, folder 8, Bowman to Peleg Wiswall, 10 Oct. 1828; J.-M. Sigogne to Wiswall, 29 March 1831; list of Indians, January 1832; MG 15, B, 3, no.104; RG 1, 430, nos.21–22; 431, no.22; 432: 1–6, 111–14; RG 5, P, 2. PRO, CO 217/178: 89–101. Micmac Missionary Soc., Annual report of the committee (Halifax), 1850. N.S., House of Assembly, Journal and proc., 1821: 30–31, 36, 77–78; 1828: 208; 1830: 578, 584, 701, 705; Legislative Council, Journal and proc., 1843, app.7: 22. Acadian Recorder, 29 March 1834. Halifax Journal, 27 Dec. 1824. Halifax Morning Post & Parliamentary Reporter, 1 Feb. 1842. Novascotian, or Colonial Herald, 13 Aug. 1830. Prince Edward Island Register, 29 June 1830. Times and Courier (Halifax), 27 Feb. 1849. Murdoch, Hist. of N.S., 1: 168–71. Upton, Micmacs and colonists. Judith Fingard, “English humanitarianism and the colonial mind: Walter Bromley in Nova Scotia, 1813–25,” CHR, 54 (1973): 123–51. L. F. S. Upton, “MEUSE, ANDREW JAMES,” in Dictionary of Canadian Biography, vol. 7, University of Toronto/Université Laval, 2003–, accessed April 24, 2019, http://www.biographi.ca/en/bio/meuse_andrew_james_7E.html.